Welcome to SitcomsOnline Digest! It's been a holiday week, so news has been somewhat light this week, but we do have two big stories about some new seasons of classic sitcoms on DVD that came as a surprise to us. Additionally, we have news of a new Fox reality singing competition and more. Let's get going! This is something that we definitely didn't see coming, but Shout! 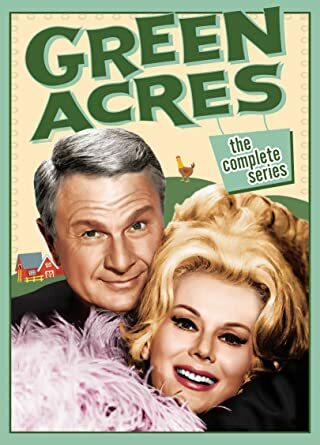 Factory announced this week that they would finally be finishing up Green Acres on DVD, with Green Acres - The Complete Series. Few details about it are known at this time, but the 24 disc set will be released on October 17. Another big surprise that we discovered this week courtesy of TVShowsOnDVD.com is that Warner Archive will be continuing Perfect Strangers on DVD, though exact details aren't known just yet. Who to Follow: Jesse Tyler Ferguson (Twitter), "I memorize other peoples words and say them in funny ways or dramatical ways. Catch me in @ModernFam. snapchat: therealjtf instagram: jessetyler"
Claim to Fame: We covered Eric Stonestreet (who plays Cam on Modern Family) last week, so this week, we're covering Jesse Tyler Ferguson, who plays Mitch, the role of Cam's husband on the series. Jesse Tyler Ferguson got his start on the stage, both in Broadway productions as well as some off-Broadway productions. He transitioned over to TV in the fall 2006 CBS series The Class, but that only lasted one season. His breakout role, of course, came from playing Mitch on Modern Family. The busy schedule of starring in a sitcom doesn't allow him to do as much on-stage work as he used to do, but he does still appear in on-stage productions during the times when production of Modern Family is down for summer breaks.